Doc Chey’s Week Long Charity Dine-Out! 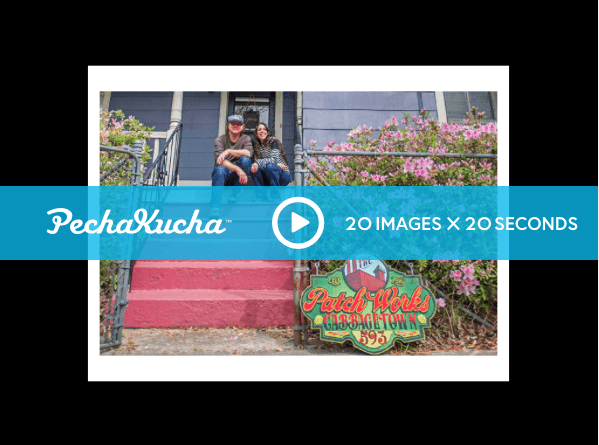 To generate good karma by raising money for our partner organizations, Doc Chey’s will host a dine-out for The Patch Works Art & History Center. 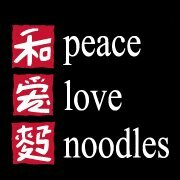 ANY TIME (lunch, dinner or brunch) on ANY DAY during the scheduled dine-out week. You can even dine more than once! Includes Take-out too! 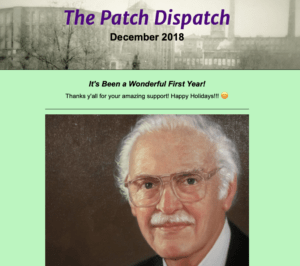 Mention “The Patch Works” and 25% will be donated back to this awesome neighborhood nonprofit! Last year ended with a bang! Onwards to great things in 2019! Mhmm, yep, you read that event title correctly. On January 27th, from 12:30 to 2:30pm, Guac Y Margys is serving up ALL YOU CAN EAT BREAKFAST TACOS + ALL YOU CAN DRINK MIMOSAS AND BLOODY MARIAS for just $30. 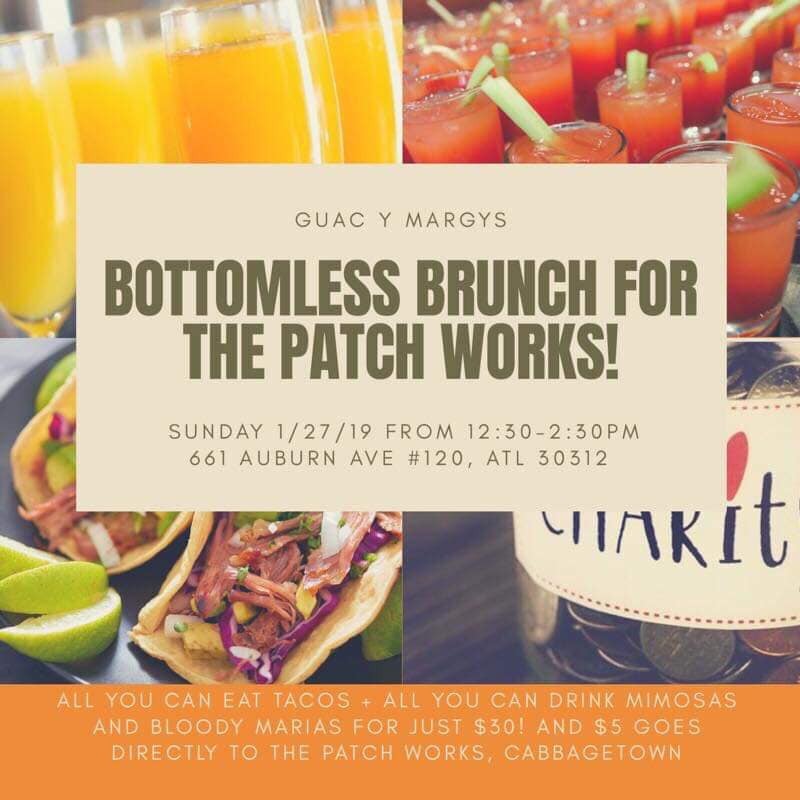 And $5 of that goes directly to The Patch Works — just a mile away from GyM — dedicated to preserving the unique history of Atlanta’s Cabbagetown. 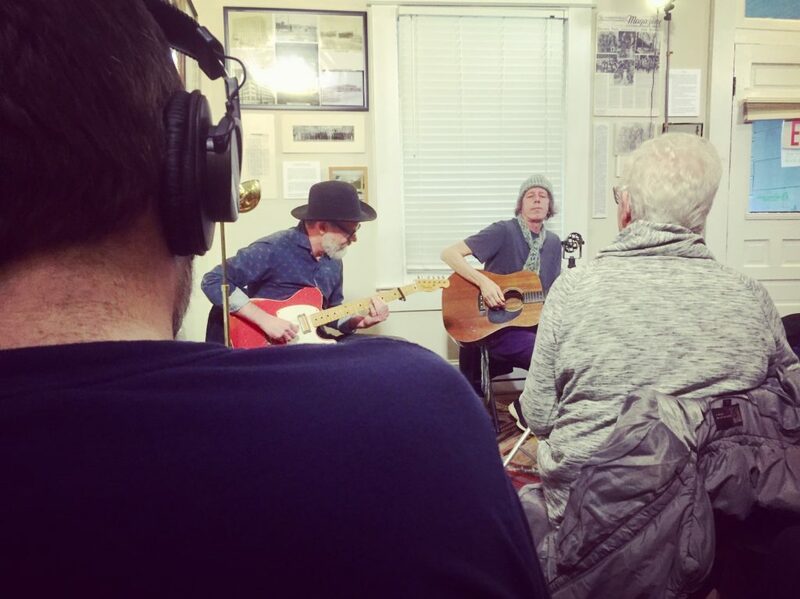 On January 19th, it was another great “Unplugged” music event at The Patch Works! 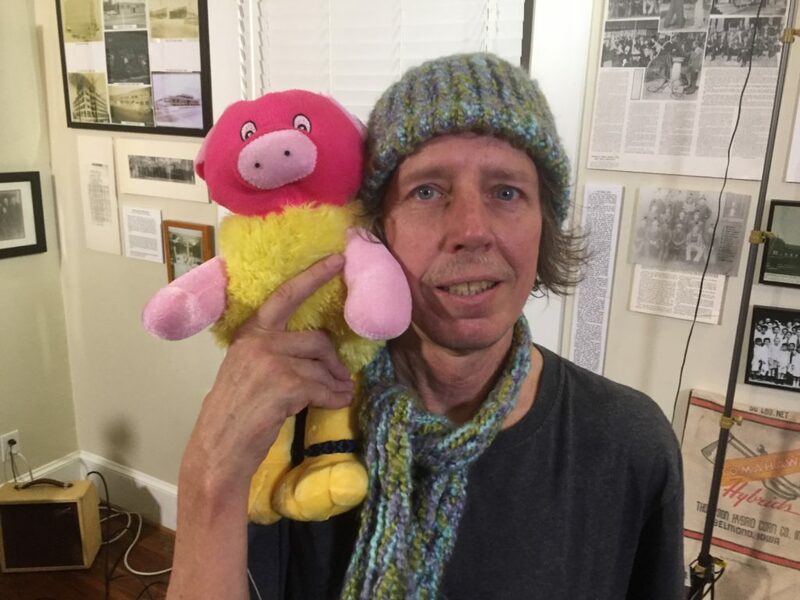 Chicken and Pigs for this gig was Jeff Evans, nobly accompanied by Mark Johnson from Delta Moon! 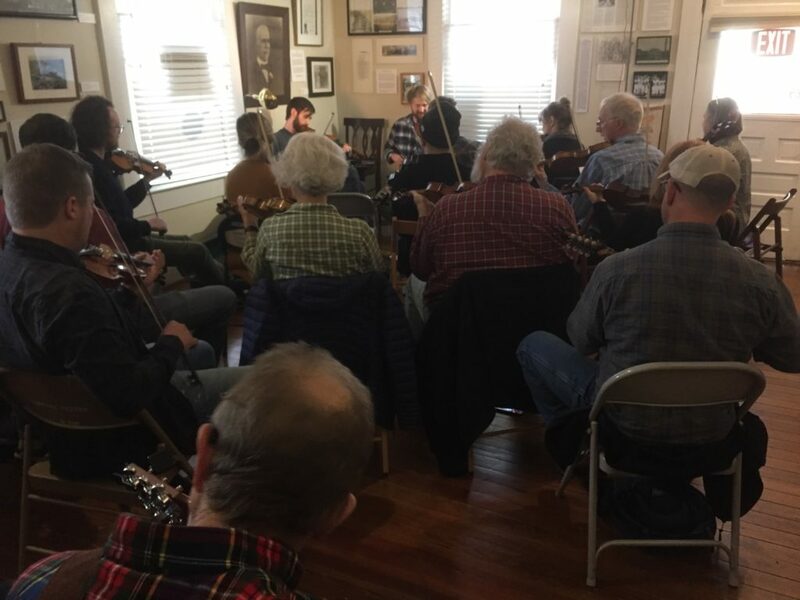 On January 13th, The Jon Bekoff Project for the Advancement of Georgia Oldtime Music presented musician Max Godfrey, who lead a workshop in local Georgia tunes. Jon Bekoff was a great Oldtime fiddler in Western MA who loved GA music and encouraged folks to play it (as a result, more players in Vermont and MA play GA oldtime music than in GA!!). Jon died young in 2015 and this JB project is an attempt to keep his GA oldtime missionary spirit alive. 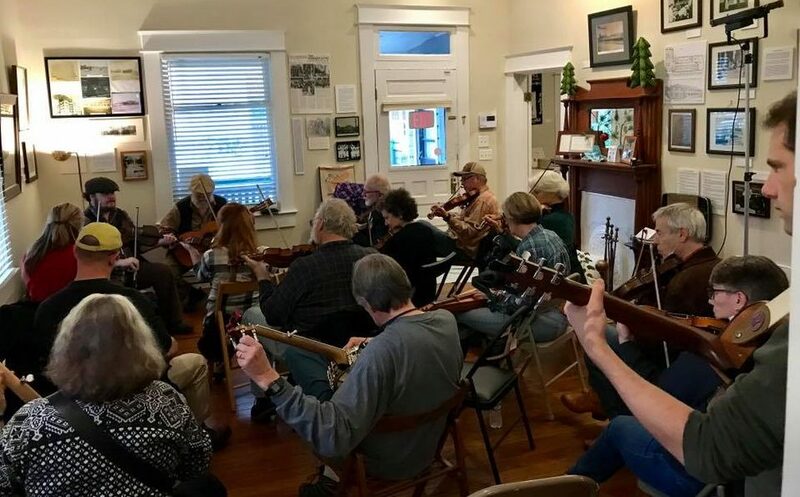 The goal of these free workshops is to promote by-ear learning of oldtime music native to Georgia, with the hope that in the future, participants will go forth and jam these tunes with others. 1-2 new tunes were introduced and tunes from previous sessions were reviewed. The JB Project likes geeky participants who take the time to listen to the original tunes and practice between workshops, who are sincere about learning at least some of what is covered. Stringed instruments only (no spoons, concertinas, penny whistles). Musicians are invited by Moonshine and need to RSVP by EMAIL to confirm a spot. Preference is given to intermediate musicians with leadership potential/who are committed to learning the local GA Oldtime repertoire. Please email fiddlerhiker if you want to propose another attendee, do not invite them yourself, please. On Tuesday, December 18th, Eventide Brewing generously hosted a Totes Tuesday for The Patch Works!! Here’s their remarkably simple yet effective fundraising concept: You drink beer. Eventide gives back! All you have to do is drink beer! EASY! Each week Eventide has a different non-profit organization on site. On this night, The Patch Works received 10% of Eventide’s nightly sales AND cash donations collected in the tote bags at the end of the bar!!! On December 15th, we hosted another awesome “Unplugged” musical performance at the center! The Porch Bottom Boys — performed two amazing sets!!!! It’s Been a Wonderful First Year! Thanks y’all for your amazing support! Happy Holidays!!! ? On December 9, Pecha Kucha Atlanta held a really cool event called “Atlanta: Past, Present and Future.” Along with several other presenters, The Patch Works was selected to give one of Pecha Kucha’s signature “20 x 20” lectures: each speaker shows 20 slides and gets 20 seconds per slide to address the topic. 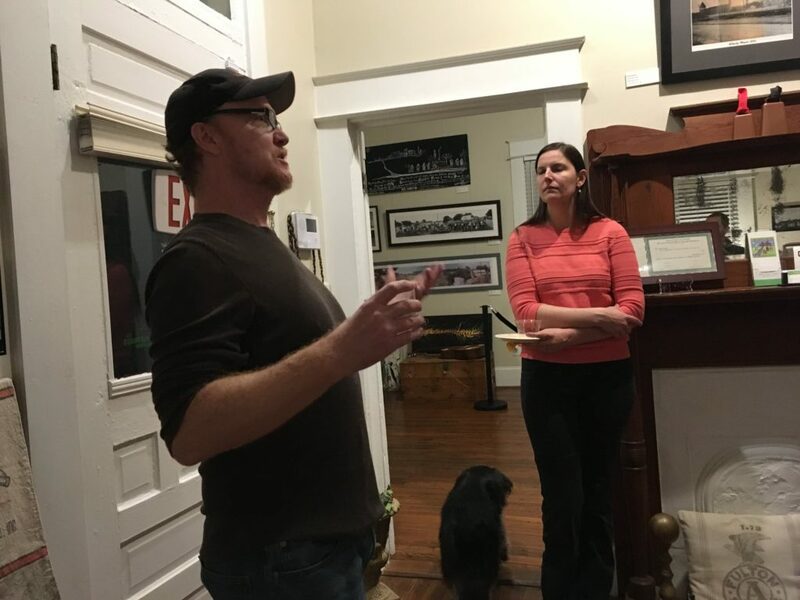 We called our topic Cabbagetown: Changing Atlanta by Preserving History. 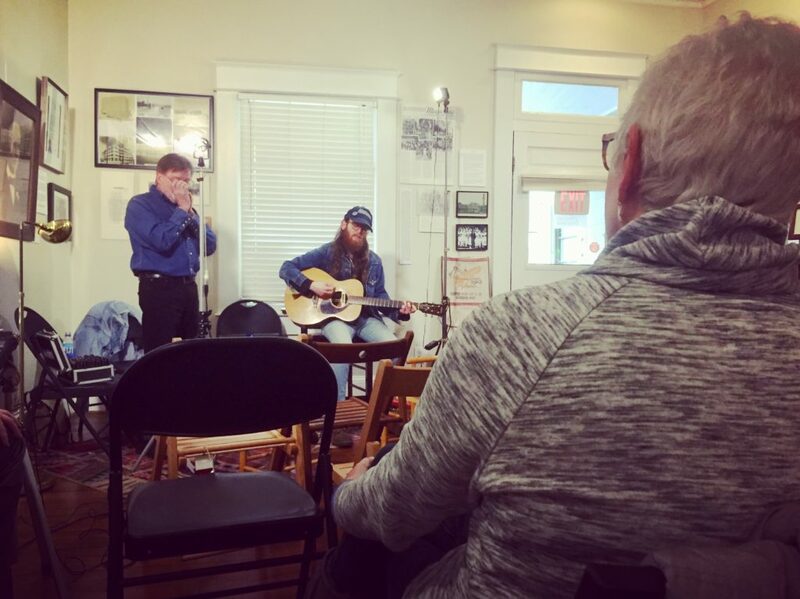 On Saturday, December 8th, Evan Kinney recently led an intermediate Georgia Oldtime Jam at The Patch Works. Being our first time hosting a music workshop, we weren’t entirely sure what to expect. Suffice it to say, it was AMAZINGLY FUN! Watch this VIDEO (and remember: this group was learning the song on-the-fly and by ear). 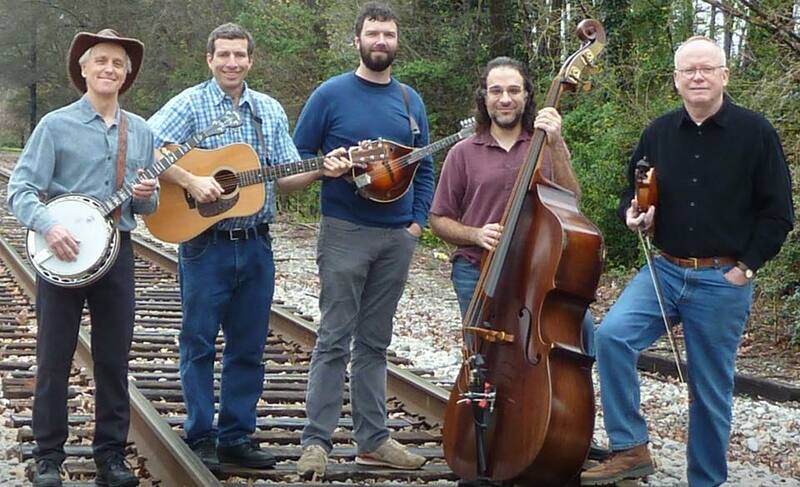 Programming was sponsored by the Jon Bekoff Project for the Advancement of Georgia Oldtime Music, administered by the UWG Center for Public History. This is a free event that — if all goes well — will continue to be held at The Patch Works. For additional information, please contact Moonshine. Space is limited! A NEW Grant Award, MORE Scholars, and MORE Music! 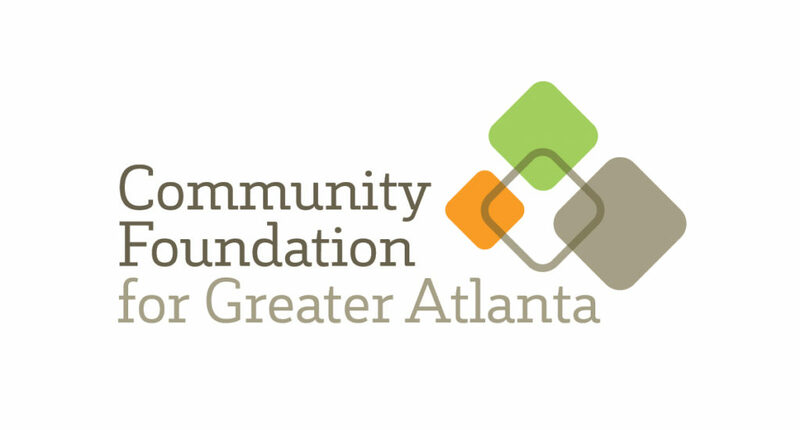 Community Foundation for Greater Atlanta awards us with a grant, and our third (and last) GA Humanities lecture is this month. Plus, another great lineup for our November Unplugged music event!!! On Sunday, November 18th, join us as Rebecca Page, Ashley Cheyemi McNeil, and Brennan Collins from GSU’s Student Innovation Fellowship program speak about their mapping collaboration with The Patch Works on ATLmaps.org. 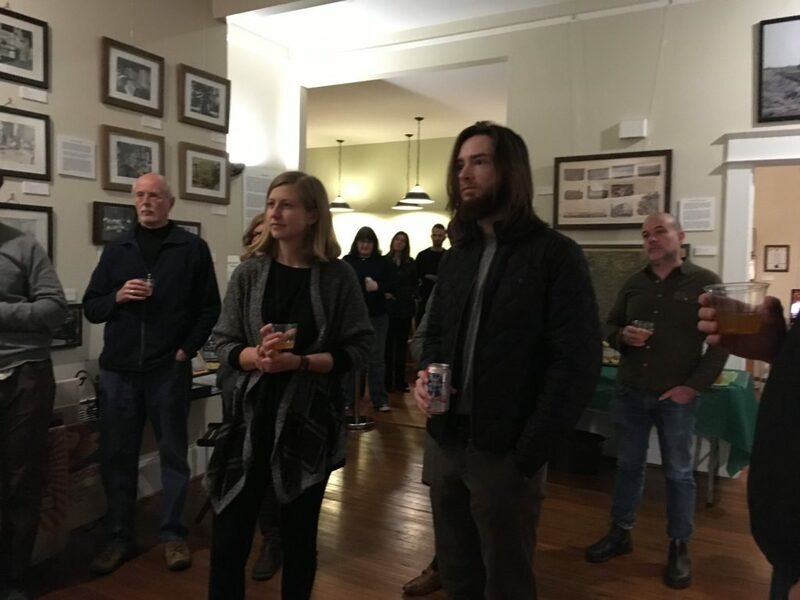 They have brought together historical maps of Cabbagetown and stacked them with present-day interviews of long-time residents to uncover the original water sources that sustained the livelihood of the community. Ronnie Edwards, Marshall Edwards, Sarah Knight, Margaret Long, and Leon Little. 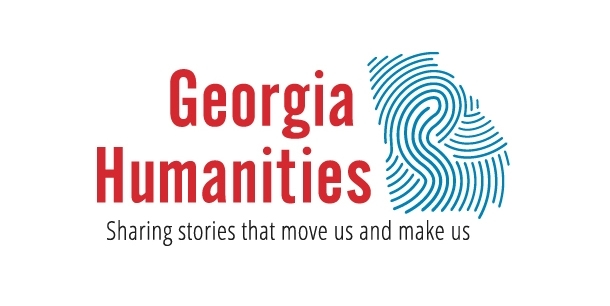 For more information on Georgia Humanities-sponsored programs, please visit their events calendar. 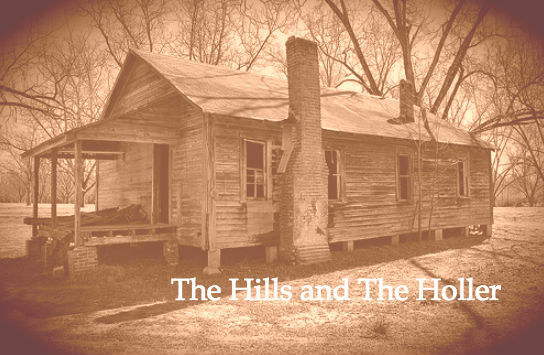 This project is supported by Georgia Humanities, in partnership with the Georgia Department of Economic Development, through funding from the Georgia General Assembly. 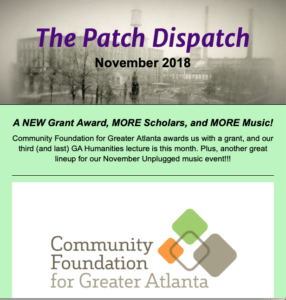 The Patch Works is honored to have received another grant award: Community Foundation for Greater Atlanta’s Neighborhood Fund grant! Winning the award puts us one (big) step closer to fulfilling our mission of maintaining Cabbagetown as a strong, cohesive community that is dedicated to preserving its history. 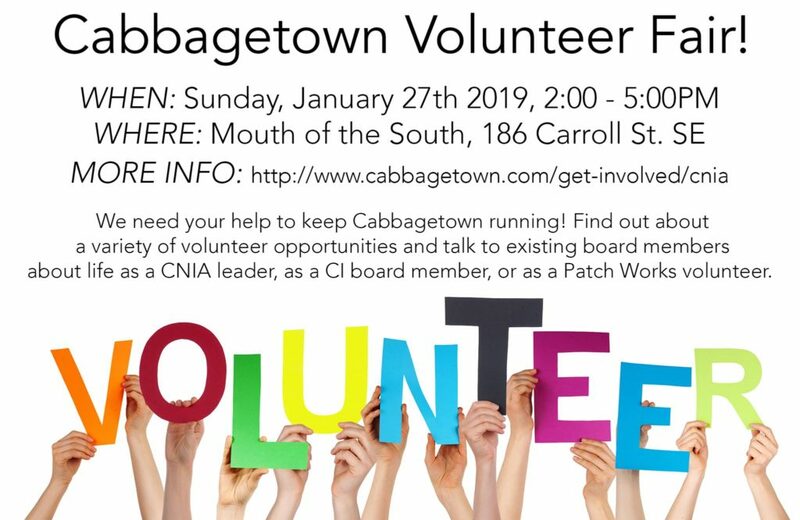 In 2019, the Cabbagetown neighborhood wishes to present R. Cary Bynum’s play Cabbagetown: 3 Women, which the playwright based on the 1976 publication Cabbagetown Families, Cabbagetown Food (a “cookbook” that documented the lives of mill-working families in the community). The neighborhood will mount the play in The Joyce Brookshire Amphitheatre, which, in March 2018, Councilmember Natalyn Archibong formally dedicated to the legendary, Cabbagetown musician Joyce Brookshire (who passed away in 2017). This production will use community-based elements: the amphitheatre (located in Cabbagetown Park), as well as local artists (musicians, actors, stage hands, etc.). In addition, the playwright has given the community his blessing to present the play, which he had previously removed from theatrical circulation. This event will promote community participation, as well as historical education. Three organizations — CICDC, CNIA, and The Patch Works — will be supporting the effort. Michael has recently returned from Prague, where he played solo shows. Beer and wine are available for a small donation. Coffee Talk with The Patch Works! 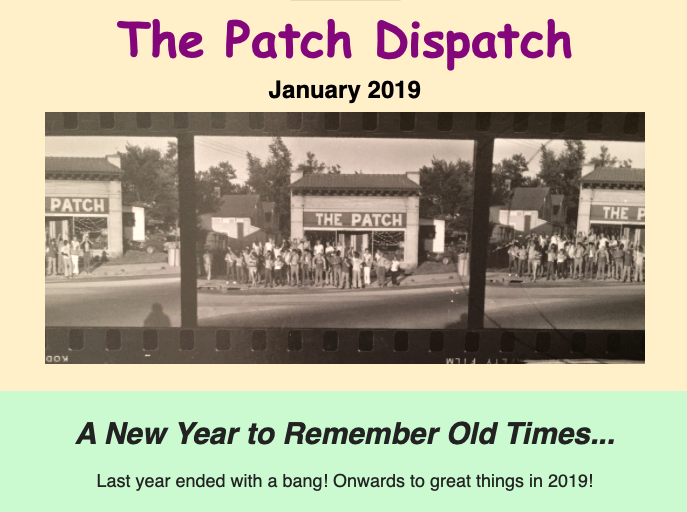 While you are waiting for your table, have a chat with The Patch Works and learn about Cabbagetown history, our events, and pick up some swag (for a donation). It’ll be a fun time from 9:30am-12:30pm! August 25th, from 2:00pm to 7:00pm: The Patch Works – Unplugged! For the first performance of the day, please welcome Evan Stepp to the “stage” for a tremendous solo performance. Evan is a phenomenal musician, so you will WANT to see him play! Then, the spotlight will turn to singer-songwriter (and Cabbagetown resident) Paul Shaw, who will entertain us with a set of new songs! Paul and his wife Mel jammed at The Patch Works a few weeks ago; we are thrilled to have him back again. Hootenanny Time!!! Bring an instrument!!! 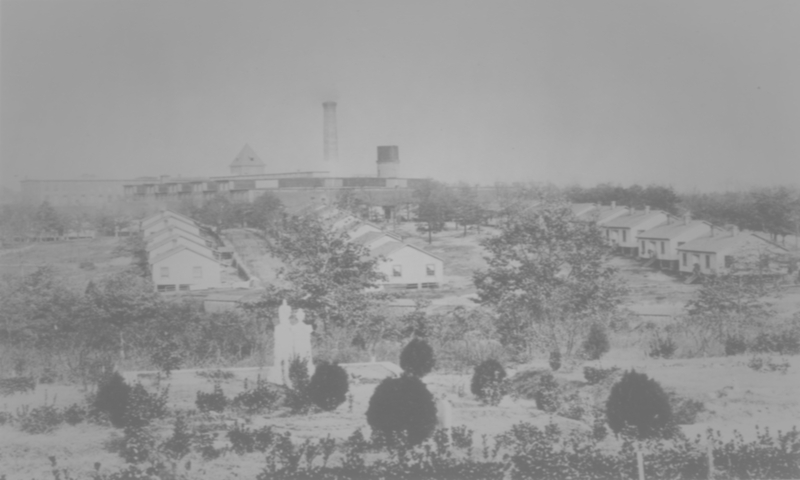 What kinds of food did early Cabbagetown residents eat? Join The Patch Works Art & History Center and food historian Dr. Julia Skinner of Root to learn about Appalachian food history, including the traditions that were brought down from the mountains by many of the residents of Cabbagetown, who moved to the neighborhood to find work. Julia will also be doing a live demonstration of Appalachian food preservation techniques using recipes from the neighborhood. 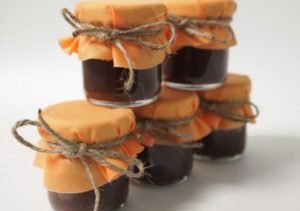 Come learn how to make chow chow, preserve peaches, and pickle beans! Each attendee will get a handout with recipes to take home and try themselves. Space is limited to 20 people, so make sure to get your tickets early! Tickets are a suggested donation of $12. Ticket donations can be in the form of cash, check or square. Please make checks out to The Patch Works Art & History Center.